Sales and marketing teams often struggle to find and progress a pipeline of prospective customers from initial interactions to deal close. They face a constant balancing act to drive both volume and quality from leads. Sound familiar? Sales and marketing use pipeline analytics to focus efforts on finding quality leads and ultimately closing deals. Pipeline analytics give visibility into each step of the sales process – quickly identifying where there are hurdles/opportunities in finding, qualifying and converting quality prospects into loyal customers. Consider taking a similar approach with the candidate process. Candidate Pipeline Analytics can provide insight into volume and conversion rates from initial candidate identification through to offers accepted. If these rates are low, then you can focus on understanding where to make changes to increase conversion rates. This seems to indicate that there is an issue in screening for the right candidates. Are adjustments needed in the screening criteria being used by recruiters to better match the needs of the hiring manager? Click here for a 3-page document for more insight into Candidate Pipeline Analytics. The trajectory of the AODA Civic holiday or First Monday in August, public holiday or not? Thanks so much for your comment on our blog focused on Candidate Pipeline Analytics! I completely agree that a company may vary the process depending on the role that you are hiring for or even the candidate. 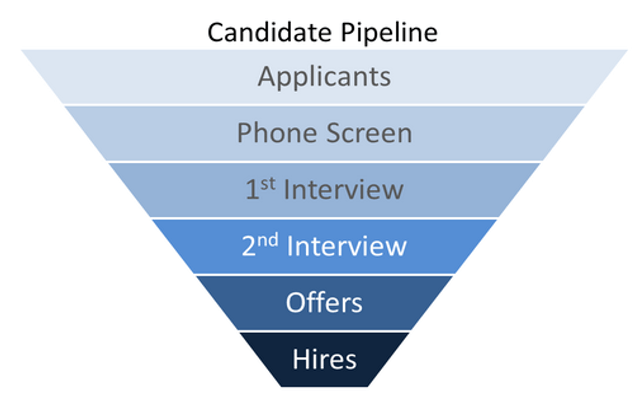 Candidate pipeline analytics should reflect the process in place (vs. impose a process). This is where it becomes very important to be able to further segment the candidate pipeline analytics to align with your own specific business priorities and process (e.g. by role, location, recruiting source). For example – for some entry-level roles, you may only have two recruiting steps – screen and interview. For those jobs, 1st interview-to-2nd interview conversion rates do not even exist. For these roles, you might want to focus on applicant volume by source as well as applicant-screen, applicant-hire conversion rates. These roles likely produce a high volume of candidates and you want to help focus your team on the sources that produce the best candidate pool for you. If a particular source is providing good quality candidates but not enough volume to support your needs, you can focus on ways to expand within that source vs. spending time sifting through resumes from a source that produces volume but the candidates do not fit your needs. Even though there are less stages, candidate pipeline analytics provide valuable visibility to focus efforts. 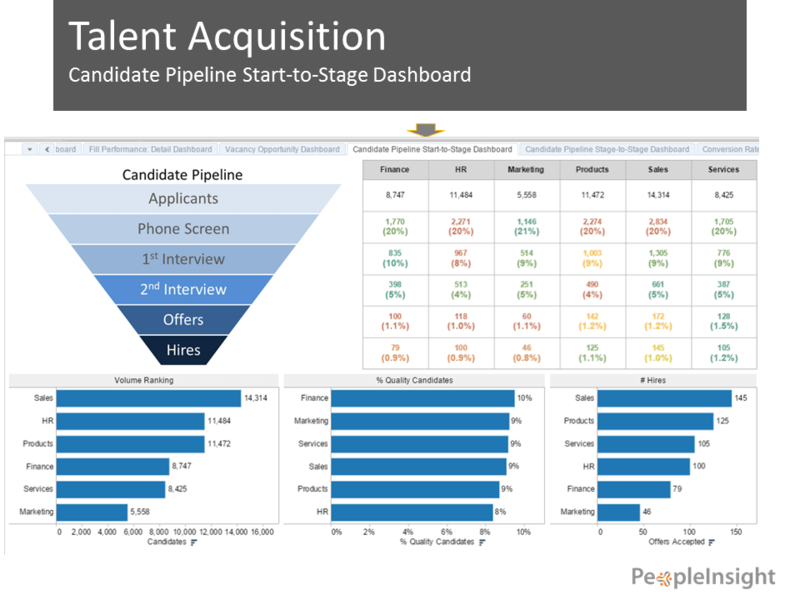 By applying candidate pipeline analytics in context of your business you can gain valuable insight to help focus your recruiting team efforts. In many sectors, I suspect this process is a bit too slow and bit more rigorous than the position warrants. Unless you have an HR dept that can dedicate its resources intensively on each individual hire, this many steps is going to take a lot of time. If you are hiring for key, senior or highly qualified candidates, then the process is great. If your sector or industry is highly competitive, strapped for top people and/or short on available qualified talent then this process may lose some great people who are snapped up by another employer (who is less rigorous or just faster!) while you are at are scheduling the second round of interviews.